Tour the Hope Float’s House in Smithville, Texas! 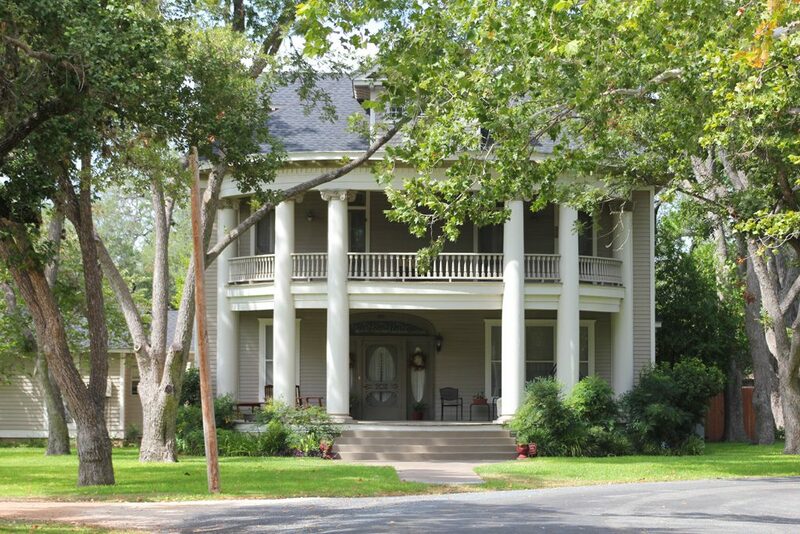 Smithville is known for being “Film Friendly,” with numerous movies from Hope Floats to Tree of Life making use of its charming downtown and pristine neighborhoods. In the 1998 romantic drama, Hope Floats, Birdee Pruitt, played by Sandra Bullock, stands back as her daughter, Bernice, played by Mae Whitman, begs her father not to leave her behind. (Click to view the scene.) Harry Connick Jr. played Justin Matisse, Birdee’s love interest. Click here to learn more about the making of the movie. Smithville Tour of Homes will view five historic homes and a beautiful church. Cost of the tour is $10/person. Email Smithville Garden Club at smithvillehometour@gmail.com or get your tickets on Main Street on the day of the event. 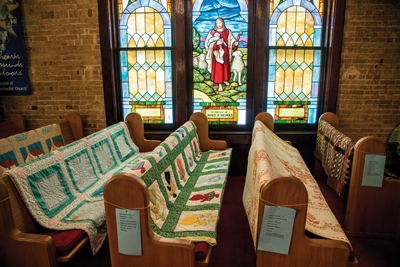 Some of the residents call the Airing of the Quilts their happiest day in their hometown. It really does bring one joy to see these homemade quilts blowing in the gentle breeze on a crisp, fall day.